1931 Advert. 'Flitafast' flying propellers to protect seeds in the garden from birds. 1931 Company bought by British Xylonite Co.
1935 Commenced using the Palitoy name (based on the company founder's name) for a range of toys. 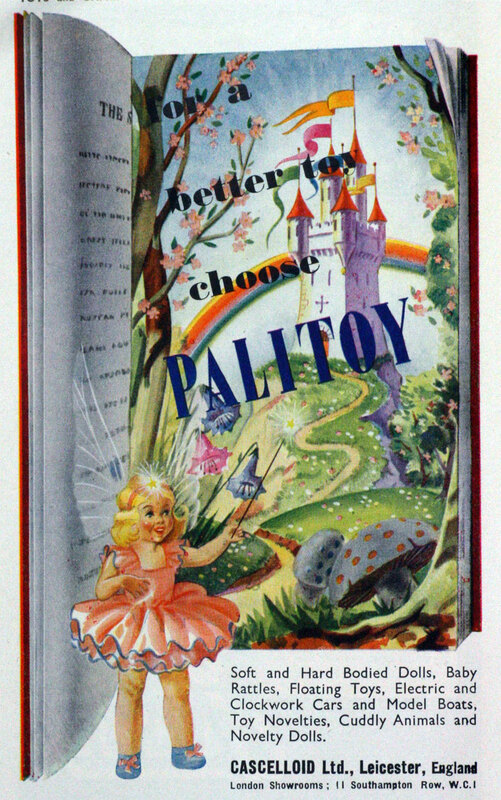 1968 Palitoy was bought by General Mills. 1977 Bakelite Xylonite/BXL Cascelloid Division, of Abbey Lane, Leicester, of Plenmeller Works, Haltwhistle and of West Street, Stamford. 1980 Palitoy became independent again. 1986 Palitoy ceased trading. The factory at Coalville, moulds and copyrights were bought by Hasbro.